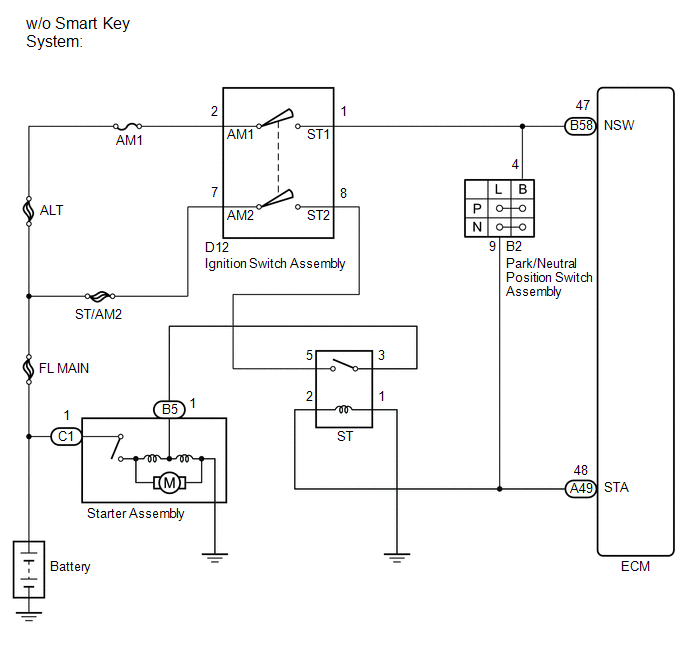 While the engine is being cranked, current flows from terminal ST1 of the ignition switch assembly to the park/neutral position switch assembly and also flows to terminal STA of the ECM (STA Signal). 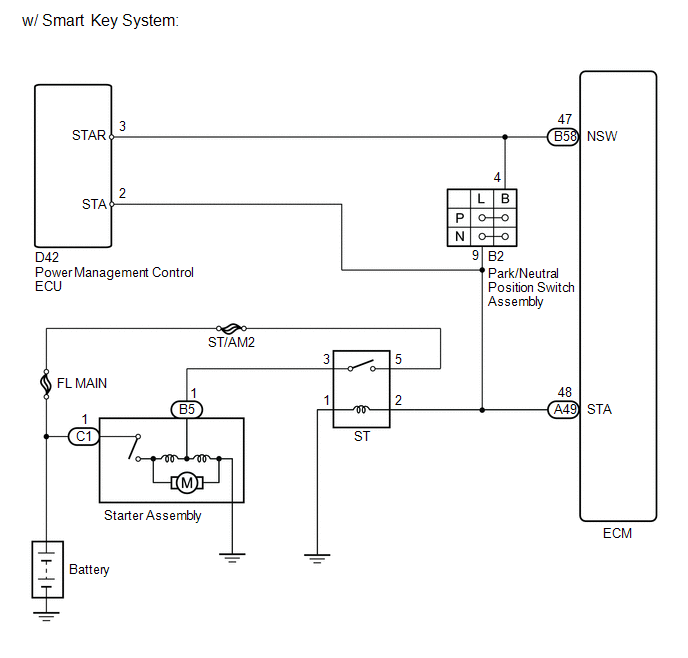 While the engine is being cranked, current flows from terminal STAR of the power management control ECU to the park/neutral position switch assembly and also flows to terminal STA of the ECM (STA signal). (d) Enter the following menus: Powertrain / Engine / Data List / Starter Signal. (e) Read the value displayed on the Techstream when the ignition switch is turned to ON and the engine is started. (a) Inspect the ST relay (See page ). (b) Disconnect the park/neutral position switch assembly connector. (a) Disconnect the ignition switch assembly connector. (a) Inspect the ignition switch assembly (See page ). (c) Disconnect the power management control ECU connector. (d) Remove the ST relay from the engine room relay block. (c) Disconnect the park/neutral position switch assembly connector.